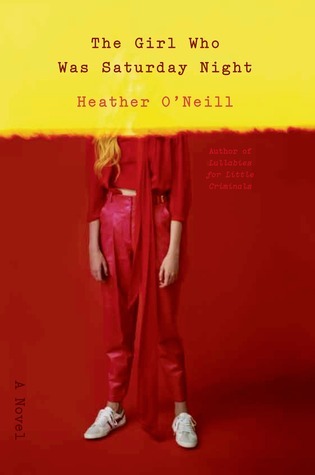 “The Girl Who Was Saturday Night,” the second novel by Heather O’Neill, follows two years in the life of Nouschka Tremblay. Nouschka and her fraternal twin brother Nicolas grew up as child stars. The product of a night between the irresponsible Quebecois singer Etienne Tremblay, who only raises them when the cameras are running, and a fourteen-year-old groupie, whose only contribution to their upbringing was leaving them on their grandfather’s doorstep, the Tremblay twins’ childhood in the limelight has left them extremely damaged people. The novel begins when the twins are nineteen and inappropriately attached to one other; they still share the same bed. Nicolas is a petty thief and already a deadbeat dad. Nouschka is an accidental beauty queen who finds herself in the middle of numerous affairs, the next of which might be with Raphael Lemiux, a mentally unstable criminal and former figure skating champion.